When it comes to helping with digestion, the liver and gallbladder work closely. While the liver makes the bile necessary to break down fats into fatty acids, the gallbladder (located beneath the liver) stores that bile until it’s needed in the small intestine. Because of this, it's very important to keep both organs healthy. Through this article, we will focus on common gallbladder problems and a few natural remedies. 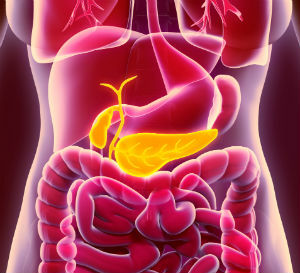 Your liver and gallbladder are connected by the cystic duct, and gallstones can actually block that passage, causing a buildup of bile. It's important to never ignore an inflamed gallbladder (also called cholecystitis) because it can affect your overall health as the gallbladder becomes weaker and possibly even ruptures; a fever and sharp abdominal pain or biliary colic are two common symptoms of cholecystitis. If this bladder attacks happen more than once, it means you are more likely to experience them in the future. The exact cause of these growths is still unknown. While these lesions are often benign, this is not always the case; there's even some evidence suggesting a person's age, the presence of gallstones, or larger polyp size could be linked to malignancy. However, since polyps aren't usually diagnosed until either an abdominal ultrasound or gallbladder surgery (cholecystectomy), it's important to be aware of what could be a serious health issue. Gallbladder cancer is difficult to diagnose because there aren't major early signs and many of the symptoms are like those of other illnesses. What this means is that it's often difficult to catch the disease early enough for surgery, which is widely believed to be the only chance for a complete cure. One recent study even comments only 10% of gallbladder cancer patients are viable surgical candidates because of this. Being aware of the possibility of such a serious gallbladder problem could save your life. If you're looking for a diet plan, incorporating low-fat, low-cholesterol is a smart choice. A high-fiber diet could also keep your digestive system (and gallbladder) working at peak levels. Avoiding additional sugars and processed foods, like meats and dairy products, can be a contributing factor to lower your LDL cholesterol. Foods that support the liver and gallbladder are important to incorporate into your diet to support bile and enzyme production. Lastly, herbal supplementation can also prove helpful with your digestive health; one in particular is dandelion root, which has generated interest for bile production support. What do you do for gallbladder health? Tell us about it in the comments below? Gaby, A. R. Nutritional approaches to prevention and treatment of gallstones. Alternative Medicine Review. 14 (3). Andrén-Sandberg, Å. Diagnosis and Management of Gallbladder Polyps. North American Journal of Medical Sciences. 4 (5). Myers, R. P. et al. Gallbladder polyps: epidemiology, natural history and management. Canadian Journal of Gastroenterology. 16 (3). Zhu, A. X. et al. Current Management of Gallbladder Carcinoma. The Oncologist. 13 (2). The post Gallbladder Problems: Disease, Symptoms & Natural Remedies appeared first on Dr. Group's Natural Health & Organic Living Blog. Watch how I wake up...Come on into my home! What won't be on my table! A “load of ___” just for you! What are the Health Benefits of Tamarind? Get in before 11:59pm tonight. Last reminder!